MOTORISTS across the Northern Tablelands will soon notice vastly improved roads, with a huge $46 million allocated to upgrade and repair the region’s network in last week’s 2017/18 NSW Budget. Northern Tablelands MP Adam Marshall said in addition to fixing damaged and rough roads, the large upgrade program aimed to boost capacity for heavy vehicles. “This capital works program will not only make travel much more comfortable and safe between our communities, but will also strengthen key sections of road to vastly improve freight efficiency. “This is a huge investment in our region’s roads and industry and complements the recently announced Warialda Bypass, as well as the $7 million the region saw last year from the government’s Fixing Country Roads program. “I am particularly delights with the funding for the Newell Highway, which is the most critical freight route in our region, and continued funding for Waterfall Way to massively improve another section. Mr Marshall thanked the hard work of local councils in maintaining their extensive road network, saying that the NSW Government would help them fund these projects. 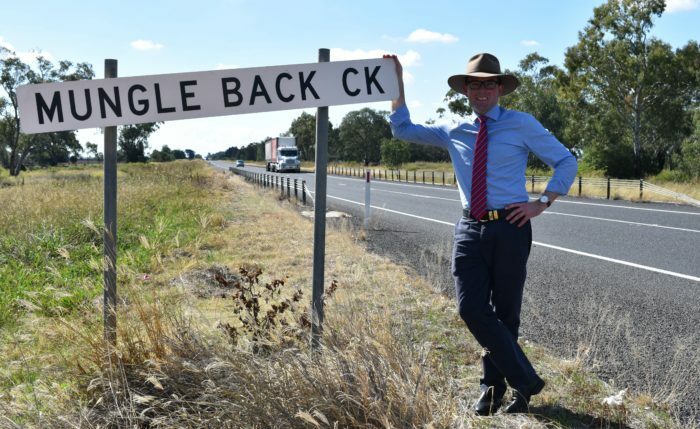 “Councils across the Tablelands will also see $10 million to help them tackle the repair backlog across the smaller regional roads,” Mr Marshall said. ” This will help them fix potholes, resurface roads and lay new bitumen – all while keeping costs down for ratepayers.